When you are having a stressful day, a nice luxurious shower can help more than almost anything else. Add in some soothing music and you’re likely to forget you ever had stress in the first place. 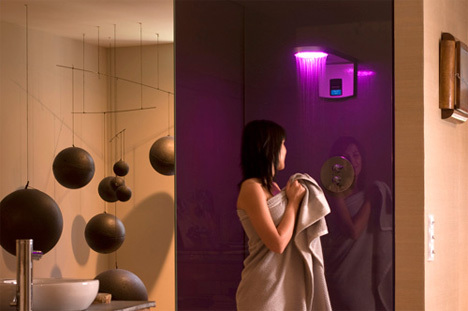 Bathroom specialists Ramon Soler combine water, music and color/light therapy to provide the ultimate relaxation experience at home. The Hidrocrom line of hydrochromotherapy systems is designed to shower you in relaxing sensations and to improve your overall health and well-being. 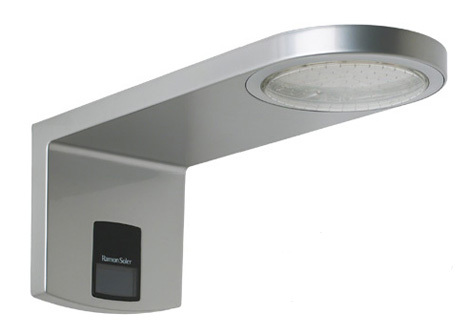 According to Ramon Soler, shining different colors of light on the skin has tremendous health benefits. There are three pre-set programs to choose from: Wellness, which increases overall mental and physical well-being; Anti-Aging, which generates energy and balance, and Play Bath, which puts a playful and invigorating rainbow right in your shower. Users can choose which program they would like to experience, or all three can be run one right after the other for maximum benefits. An integrated audio transmitter can pick up music or soothing sounds from a radio, stereo or MP3 player within about 20 meters. 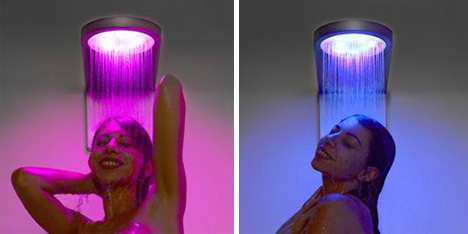 Can exposing your skin to colored lights while you shower really improve your mood or health? Scientifically speaking, the jury still seems to be out on that. 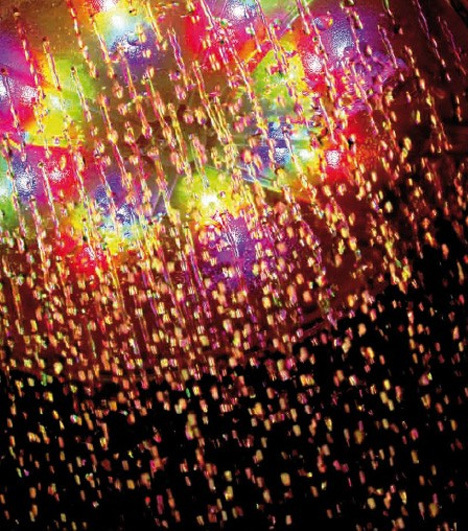 But even if you don’t believe in color therapy, there is plenty to be said for a relaxing shower that also happens to include a beautiful light show.